Your rainy-season go to, this weather-ready ankle boot delivers SORELÆs signature style and protection in a wear-all-day design. 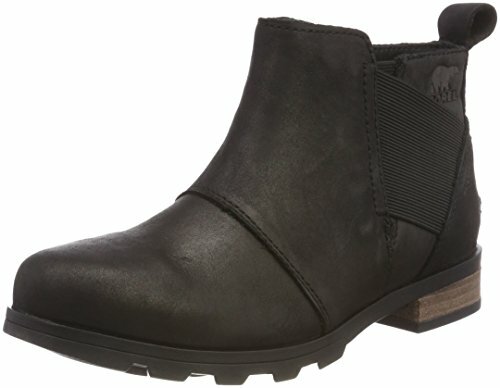 The womenÆs Emilie Chelsea is crafted of lux, waterproof full-grain leather with a seam-sealed waterproof construction. The sleek, goes-with-anything design includes a sturdy block heel, while stretch panels on the upper get the Emelie on and off with ease.